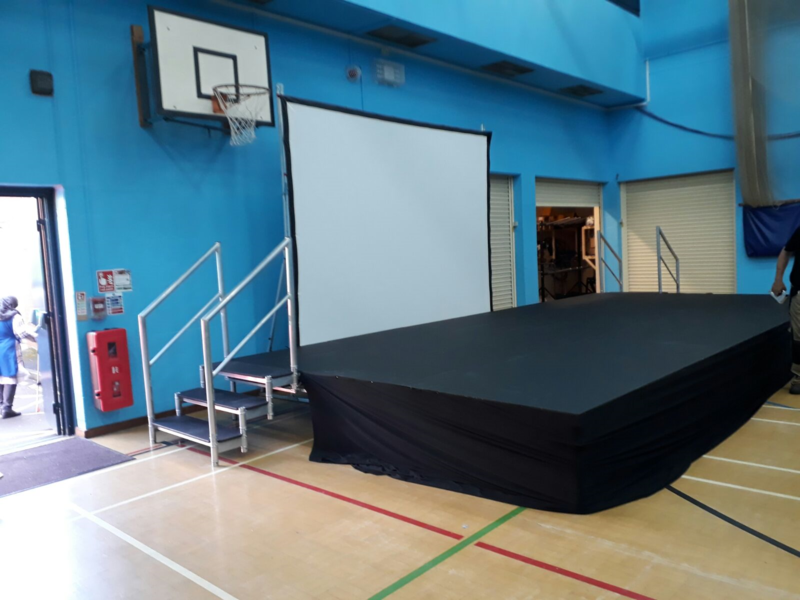 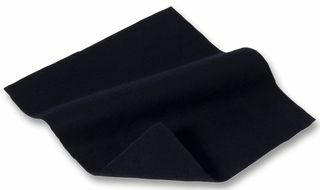 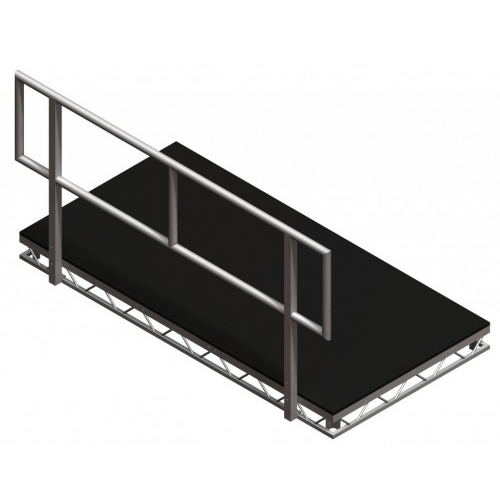 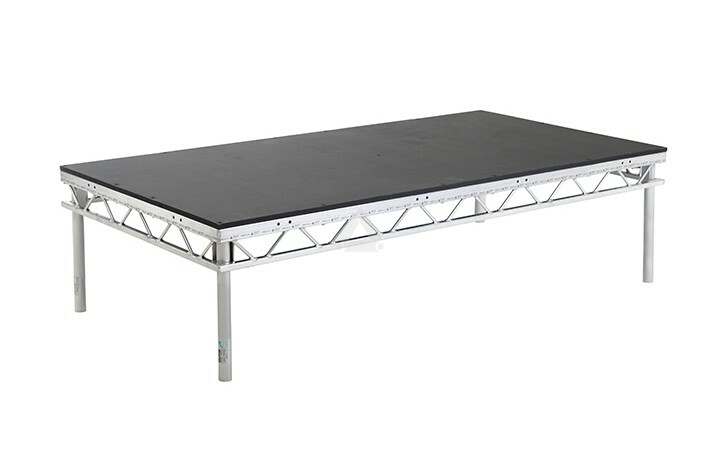 Stage step hire be used in conjunction with our Steeldeck or Prolyte stage blocks for access onto an erected stage. 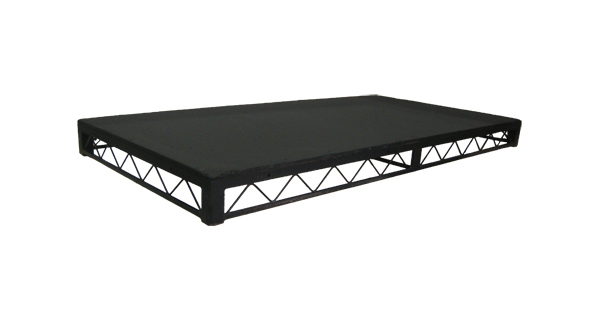 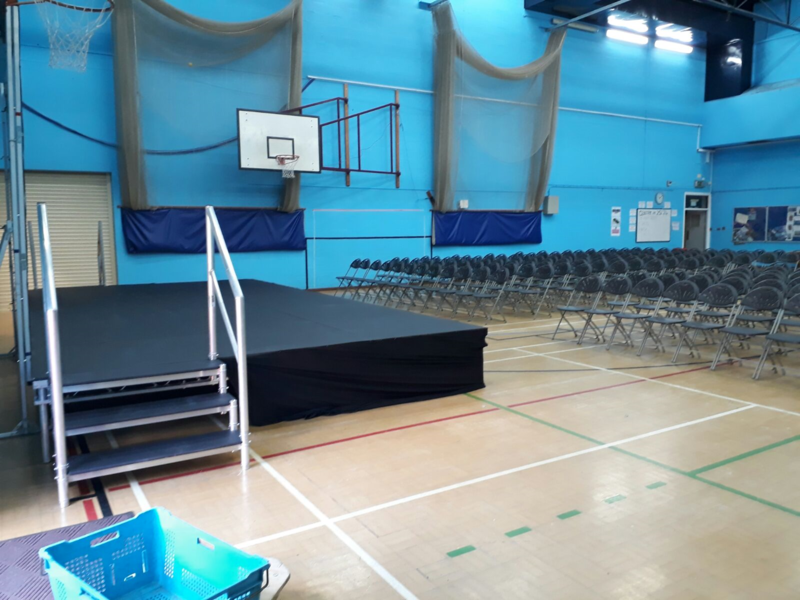 With heights offered to match the stage blocks we can cater for any application. 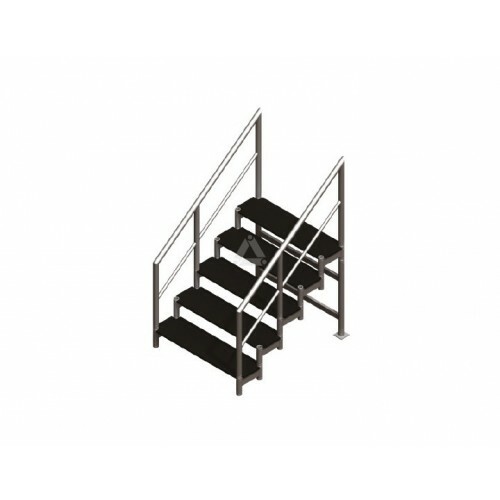 They are constructed from a steel metal frame and plywood tops to the steps, all finished in matt black paint, we also have hand rails available. 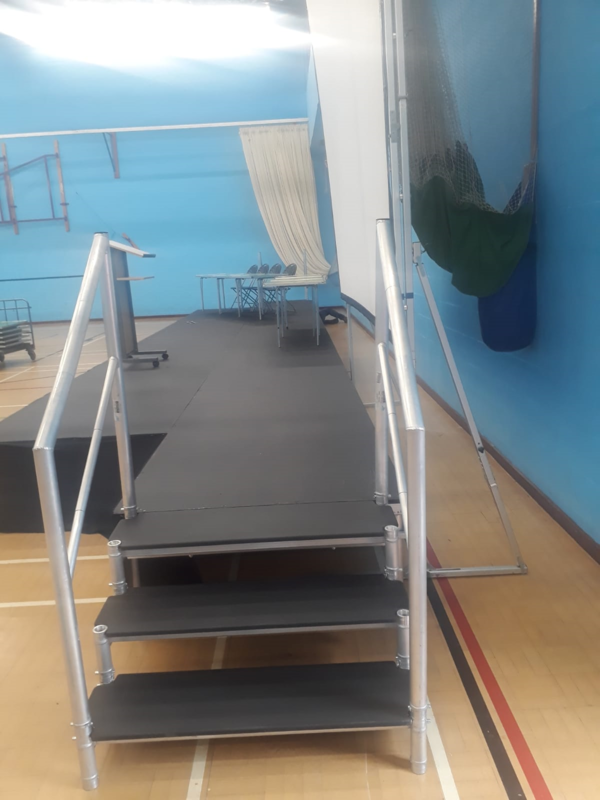 Please note these steps are not free standing and do need to be used alongside our stage blocks.